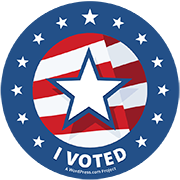 The Primary Election will take place Tuesday, May 15. A primary election is used to narrow the field of candidates and it sets the stage for the general election on November 6th. Humane PA only issues recommendations in contested races (meaning that more than one candidate per party is running in the primary). Humane PA members want to know who to vote for, so we give candidates in contested races the opportunity for endorsement in the primary, but this does not guarantee an endorsement in the general election. General election endorsements will be posted in the fall. NOTE: Only districts with more than one candidate per party (competitive primaries) are listed below. Competitive primary races with no endorsement are listed as “No recommendation” (please see “Methodology” below for clarification); and in the case of two candidates with no record, but perfect surveys, there may be a double recommendation. There are also 3 Special Elections on May 15th. Please click here to find your state legislative district. Please click here to learn more about Humane PA’s methodology for endorsing political candidates. 26th Senatorial: Democrats: 🐾Tim Kearney🐾 & Tanner Rouse; Dual recommendation – both candidates submitted excellent surveys. Democrat: Shawn Mauk & 🐾Judith Higgins🐾: Dual recommendation – both candidates submitted excellent surveys. Democrats: Stephanie Walsh and 🐾Lindsey Williams🐾: Dual recommendation – both candidates submitted outstanding surveys. 2nd House: Democrat: Jay Breneman and🐾Bob Merski🐾; Dual recommendation – both candidates submitted excellent surveys. 30th House: Democrat: Jacob Pavelcic and 🐾Betsy Monroe🐾: Dual recommendation – both candidates submitted outstanding surveys. 106th House: Democrat: Rob Myers and 🐾Jill Linta🐾; Dual recommendation – both candidates submitted outstanding surveys. 160th House: Democrat: Cathy Spahr and 🐾Anton Andrew🐾; Dual recommendation – both candidates submitted outstanding surveys. Recommendation: Candidate has either a strong voting record, history of leadership or strong survey and commitment to the humane treatment of animals. No recommendation : Candidates either did not fill out the survey or are equally rated based on the information we have at this time. Viability is also taken into consideration. Criteria: Voting record, incumbency, history of leadership, improved record, survey results, viability. For more details about Humane PA’s methodology – check: Announcing Humane PA’s 2018 Endorsements.